Welcome to my books page. Yay readers! Yay books! If you decide you’d like one of these books, but you don’t want to purchase from an online retailer or large retailer, search here to find an independent bookstore near you that can order the book for you: http://www.indiebound.org/. With every choice, we change the universe. Get ready to buckle up because there is no saccharin mollycoddling in this here tome. 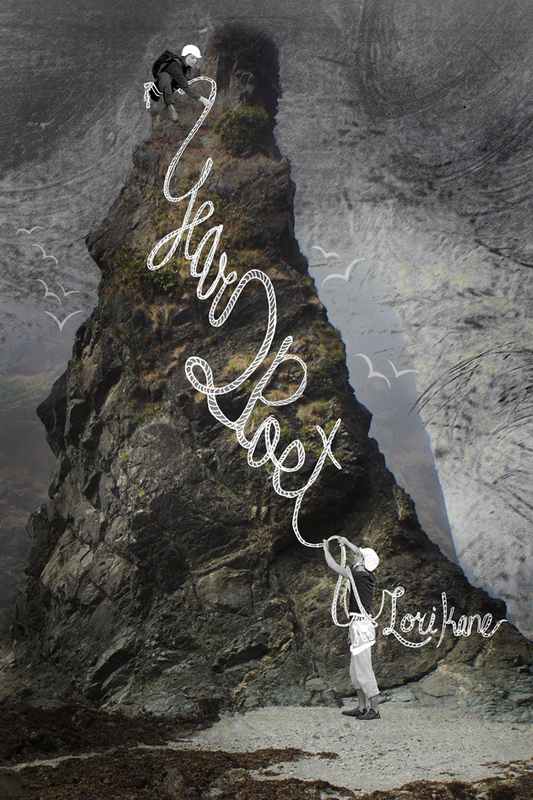 Lori bravely bares her life’s pain alongside her unshaken belief in the wonder of it all. Oh, and she curses — gotta love that. And she listens to trees — even better. I loved that every page is different. It might be a poem, an essay, a practice, or a game (my favorite) filled with the wisdom and power she has garnered in embracing her playful elder. As a fellow empath, artist, and introvert, her words resonated. Flipping through this deep, thoughtful book is super fun and magical — you never know what you’ll get. But, I guarantee you’ll get something wise and nourishing and often hilarious that will remain with you. Play people, play! palpable – visceral – and takes me to the deepest, most vulnerable and sacred places within myself. Terror rarely explored. Fear that finds us almost every day in some way. Which means, yes, you found me by letting me see you find yourself. A gift rarely offered. Wow…. I want all my students to read your book. that wonder, awe, joy, and silliness, are our inherent and natural state, the state we originally arrive here with. 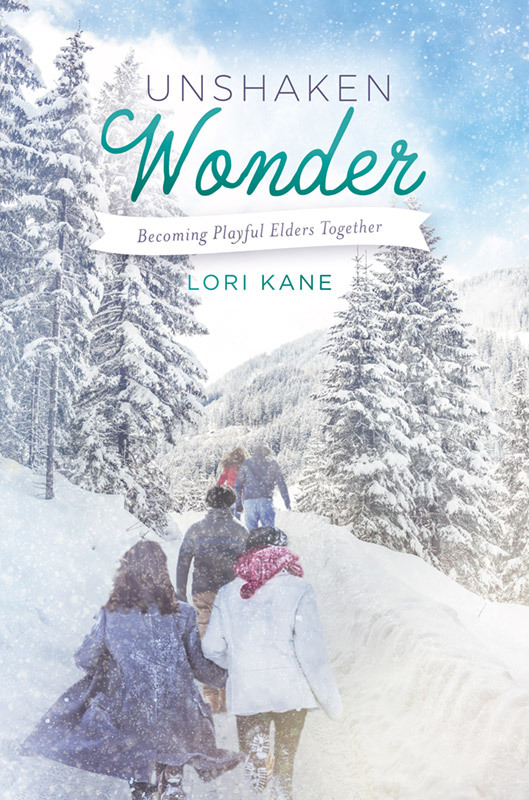 Lori Kane is an author who not only believes this but feels so passionately about being unabashedly wonder-filled, seeking grace-led humor, and joy-filled wisdom, being brave enough to seek your own personal legend, your raw, wonderful life. 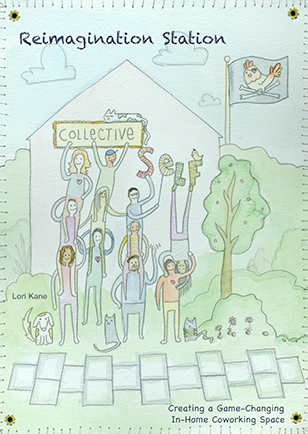 Lori Kane has written a deeply moving, humorous, elegant treatment of human emotion and human potential. I highly recommend this book to those who are or want to be Playful Elders and for those seeking to intentionally live purposefully with all that life throws at them and survive despite of it and in the end, maybe even feel like smiling. Moved to tears, dear Lori. Sweet, sweet tears. I spent a weekend a month for most of the 1980s hiking in the forests of western Washington. My Scout troop had a strict policy that we hiked rain or shine, and in this part of the world, that often meant hiking in the rain. There are plenty of ways to try to keep your mind off the weight of your backpack or the rain dripping off your poncho, and one of my favorites was to stare at the trees. Trees here are everything. Large or small, western red cedar or Douglas fir, big leaf maple or alder, hemlock or spruce, they keep the hillsides together, shade the streams, and filter the rain. Sometimes, when the rest of the guys were quiet, I would swear I could hear the trees. Not just the branches rustling in the breeze, but the stories of what they had seen. I never mentioned this to anyone, because, hey, that would be weird, right? And weird was the last thing you wanted to be. So imagine picking up a book, decades later, only to discover the author listens to trees! I had to read the whole thing through. And…it’s fabulous. Because this book is about listening, and about community, and about treasuring and deeply understanding what we have been gifted with. In spite of the tweets and the hate, the fear and the oh-so-real losses (of loved ones, of civility, I could go on) we can still laugh. And every day gives us another chance to see something new, or through another lens. Lori’s book is like a letter (remember those?) from a friend, telling you what’s going on in her life while connecting the dots on ideas of getting through it all. There is so much great writing here, but the idea of playful elders – ‘adulting’ has nothing on this – is one in particular to explore and practice and ponder. A blessing of this book is that you can read it cover to cover (that’s what I did) but you can also read the individual essays and poems one at a time, or mark things to come back and think about again later. (If I could get Amazon to let me write this review there, I’d give this book 5 stars). Haven’t even made it through the intro – tears of joy, relief, swollen heart. So needed this book right this moment. Thank you for reminding me that she is still within me. I just forgot for a minute. This is a wonderful book! It’s a self-help book that’s very different from most others out there. Refreshingly so. The author has a unique way of looking at life and finding joy and wonder where most of us forget to look. She has overcome a lot – three deaths close together, and the subsequent fallout within her family that left her and her sister reeling, but she found her way our and through her story, you learn that you too can overcome anything that life throws at you and find the wonder too. Highly recommended. May I say again how much I loved your poems about your mother? They took my breath away. Every time I read your poetry, I remember what a compassionate, insightful, and truly wonderful human you are. Thanks for continuing to brighten days—in which you are not even present—with your words! Stunning. It literally felt like something was cutting into and gripping my spirit… You’ve done it – you have expressed fullness of an experience in a way that others can enter in. Thank you for sharing! I just have to say…if you’ve not read Lori’s book – its amazing!!! I find myself laughing and crying and marveling at the stories and poems. And the suffering that accompanied the learning. Thank you Lori for gifting us with your heart and humor and authentic wisdom. In 2013, after speaking about some experience from booting up our local Fab Lab, an audience member interested is starting such a space asked “very briefly can you tell me the three most important things needed to set up a local fab lab/makerspace/hackerspace?” My unhesitating answer was, “community, community, community”. Kane and all her friends are walking this “community, community, community” walk in a fearless way I’ve never personally even approached. Whether this is “coworking” or fits for your particular needs today, it is the right idea. You go, guys! Laid out as 73 hints for running a coworking space at home, Reimagination Station includes advice about getting support from neighbors, protecting your time, and noticing your impact on others. It’s not a play-by-play how to, but rather a glimpse into the rewards, challenges, and connections that Kane experienced hosting Collective Self. 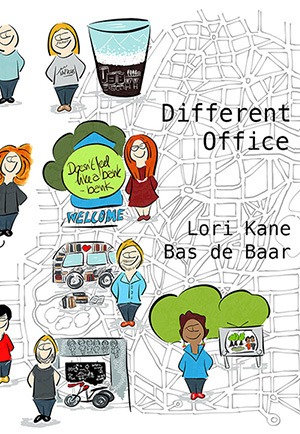 The book, which was created flash-style in four weeks, is an invaluable tool for home coworking hosts. It’s also a rich resource for anyone who wants to grow the connectedness of neighborhoods, create something beautiful and valuable that isn’t driven by profit, and extend themselves further into their community. I read “Reimagination Station” out of curiosity. 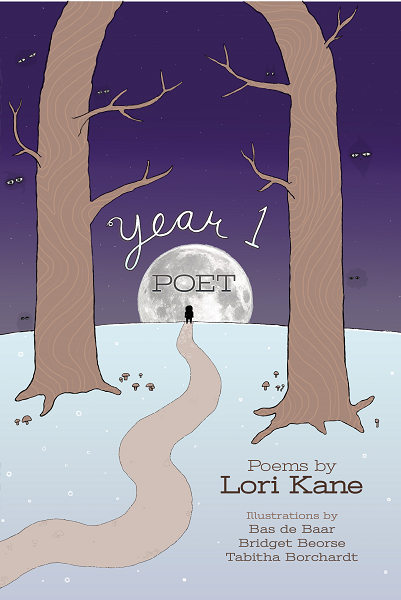 I’ve known the author, Lori Kane for a few years now. She’s impressed me in a variety of ways, mostly “How does she do it?” I sat down to read her new book on co-working even though I don’t plan on opening a co-working space. It’s an interesting, lively read as she takes you through essentials on how to open a space and run it but more importantly, she reveals the strategic and emotional process involved in turning a personal space into a space shared with strangers. Even better, you learn how her personal experiences with co-working lead her to approach her own life and the course of that life in an entirely new, transformative and unexpected way. I felt inspired and uplifted learning her story – who knows what fresh ideas her example will open for you too. Thank you for such wonderful words to remember. My gratitude is endless today because of you. I feel refreshed just reading that. Gotta go upstairs now and draw—ah—girl’s hands. You bring so much to your friends with your writing Lori! I hope we give you what you need in return. I want so much to be a support to you, and I hope you’ll let me know if I can help in any way. I say the same thing every time I read what you write, but WOW! This poem-essay is exactly what I needed today. Love to you…..in the joy and the pain. I needed this today. Thank you Lori! You know how to speak to the things that matter. This was breathtakingly beautiful, Lori. My heart breaks for the cracks that have surfaced [in my own family] and I hope soon the healing process will begin. You are an amazingly talented writer and have put into words what so many of us have felt. My loving hand and embrace are always here for you. 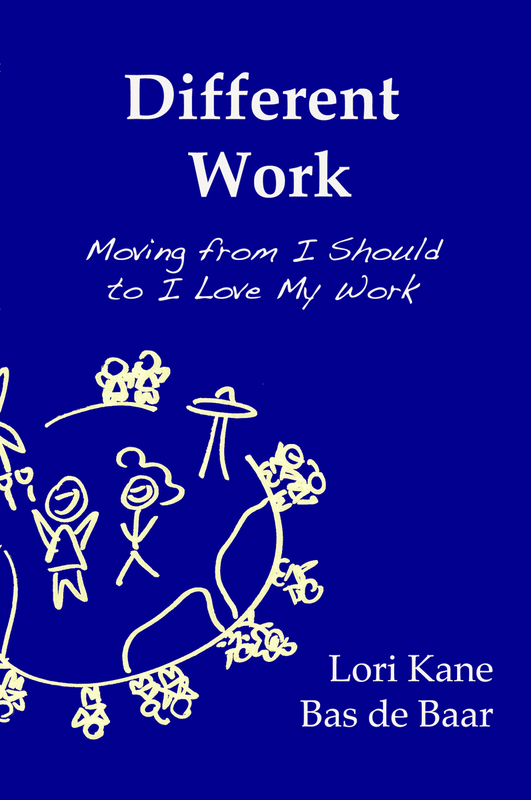 I believe everyone looking to find joy in their work needs to read this book. I loved reading the stories of people who love what they do and have carved a place in the world to do it. It is amazing how quickly the authors bring you into the work spaces and make you feel you should just stay all day. After a long spell of what can only be described as a personal crisis of identity and work, I picked up the transitions guide and what I found inside struck me, hard. I got super angry. I cried. I got angry and cried some more. I dropped obligations and appointments which felt like just more time-sucking wastes of time, I quit most of my freelance jobs, wrote off some bad friends and volunteer commitments too. I wanted to figure things out, and my method of waiting for the path to appear was not working, so I’m kicking open a random door and going inside. “The path” is welcome to appear whenever it likes, I’m moving on! The anger was partly at the universe/society/everyone for not providing a clear path to a meaningful line of work. I was also really angry because I feel like I’ve wasted so much time not getting anywhere, waiting for a chance to be me, when I could have just gotten real anytime I wanted. This book has given me the inspiration and ideas on how to be ok with me, the weirdness, the sucky days, and come out ok. I love it – a great read for anyone who feels lost in life or just wants to read about how others are overcoming “normal life” and finding something fantastic by following what they love. 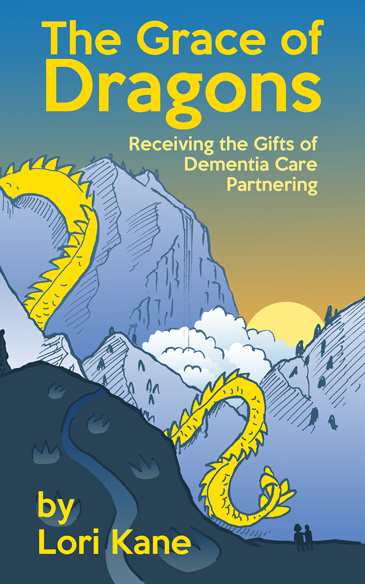 I’m not sure if you can tell from the preview pages, but the book is packed with whimsical illustrations that really add to the stories and make for a fun easy read. I really enjoyed reading this book. It’s like you are on a journey along with the writers; they share their transitions, their struggles and their hilarious and freak out moments. I loved the surrender of the writers in finding new ways. There are always other ways to go. And they show it. No guru style, expert stuff, but through real life personal experiences. This book can lift your spirits when you are going through a transition (aren’t we all, always…?). And I think it will make you smile: it helps you realize that you are not alone on your journey, there are always options and the process of transition can be so much fun. Enjoy! I instantly downloaded and devoured it. Great stories and a real similarity to what I’m trying to do. I’ll plug this work now as previously unknown inspiration and hopefully I can tune more people into Lori and Bas’s work. It’s a really nice piece of writing and shows how people can follow passions and love and make it work as work. Very much in line with what I’m putting together. How cool. Ms. Kane is a gifted writer and does a fantastic job highlighting key components of loving work. She takes basic concepts and ideas that we don’t think about but should. Pleasurable read! I so related to the Three Amigos story… their story gave me lots of hope and encouragement to continue the journey. You are an inspiration for folks who are doing the work they love and for those who would like to do the work they love. Great ideas, great writers, great experiences and great production. Great collection of stories. Have been sharing and sharing… Thanks for putting this together! I love how you’ve captured spirit in all of them. And your own story, told through your back-and-forth writings, a fun window into your worlds and passions. I send three email messages per year to announce new books, boxed sets, and prices.